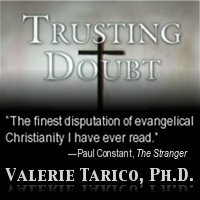 During the first half of 2010, Valerie Tarico is traveling with her husband and two teenage daughters. Missives from the Southern Cross are her occasional dispatches from the road. From a low flying aircraft, the border between South Africa and Mozambique is like a haircut half done–a tangle on one side, trimmed and thinned on the other by people in search of firewood or livestock in search of nutrients. 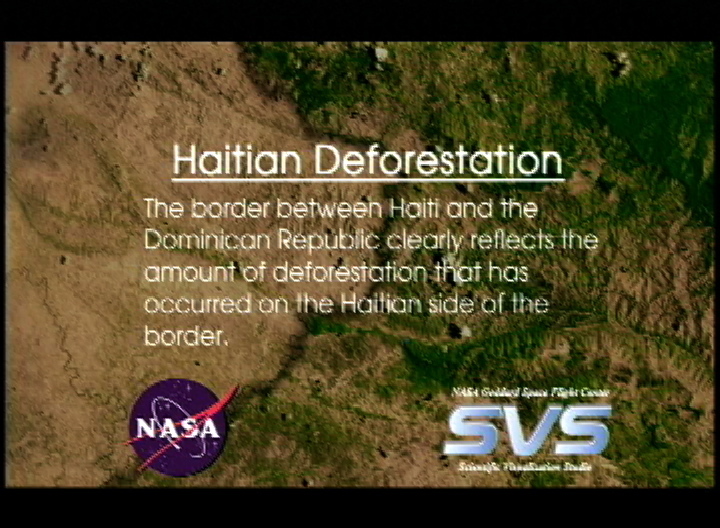 The border between Haiti and the Dominican Republic can be seen from space. The Dominican Republic had the ironic fortune and misfortune of a longstanding and cruel dictator, Rafael Trujillo, who valued forests and protected them. Haiti’s lineage of corrupt henchmen left no green shadow on the mountainsides, preferring to line their pockets with greenbacks. Haiti is naked—from the air her mountains look brown, the same shade as adobe walls, and wrinkled, like a grandmother’s skin. That is why so many people worried about landslides after the recent quake. Little is left to stabilize the slopes save shrubs and shacks and the downward pressure of human feet. Poets have said that we destroy what we love, and there are few human love affairs longer than our affair with trees. Our earliest ancestors lived in them, dining on their fruits and hiding in their branches from predators that couldn’t climb. Later ancestors left the trees to walk upright out of the Great Rift Valley and then to cross the seas, but never stopped depending on them. Trees walled houses and fueled cooking fires from the time either concept first formulated itself in the budding brain of our genus. They floated us across the oceans when we fled each other or followed our oft-lethal curiosity out to sea. Ever since, we have loved them dead or alive: treasuring their beauties and bounties while they live, relishing the practical strength of logs and rich grain of polished wood, burning their bodies as fuel to keep ours fueled, giving little thought to the kill except as it served our need. Shel Silverstein wrote a beloved children’s book, The Giving Tree, in which a (petulant) boy, returns again and again to a tree that meets his need for a swing, shade, food and finally lumber he can sell for –was it to build a boat? I can’t remember because since the first time I read the book I’ve loathed it for the asymmetry of the relationship and the gender dynamics. The child who takes and takes is male. The tree, who gives and gives while never asking anything in return is “she.” The story rings a little too familiar to be beautiful. Unfortunately, it rings even more true if the “she” of the story is simply a tree. Satellite photos of Earth speak the consequences. Vast tracts of the blue-green planet are actually brown: North Africa, where the Sahara (a natural desert) is said to be expanding south by over 40 kilometers a year due to human activities; the “Red Island”—Madagascar, where millions of hectares are now barren or covered by sparse, invasive scrub; the heartland of the U.S. (once a deciduous forest, today a seasonal breadbasket); pockets and swaths of Asia. Global Forest Watch has a quick, simple graphic on their home page, showing original forest extent in the modern era, current forest cover, and remaining frontier forests. In India last month the government released a report say that seventeen percent of the subcontinent is now wasteland, barren and eroded, sustaining neither man nor beast. Other sources place the number even higher. Thanks largely to deforestation and overgrazing, India has lost an estimated 140 million hectares of topsoil. On March 20 this year, Beijing had a sandstorm that would have made Mars proud. From a yellow-orange sky, red clouds rained down sand and dust, covering sidewalks, cars, Tiananmen Square—anything in the open—while people huddled in their houses. Thanks to my childhood in Phoenix, I can picture the intimate details: A damp rag over a mouth or stuffed in the crack at the bottom of a leaky door; the fine film that settles on the furniture anyways; the brown layer covering the bottom of a white basin or fountain or pool. In Phoenix, lesser dust storms, the normal Terran variety, hit every so often. If she was lucky, Mom spotted the brown cloud on the horizon as the wind picked up. She called for help, and we all raced around grabbing clothes off the line, yanking the garage door down, running from room to room making sure the windows were all shut tight. Then we waited. Had I spent my childhood in Beijing, the storms might have been of a normal Terran variety as well. Like duststorms in Phoenix, sandstorms in Beijing are normal, a part of living at the edge of a desert like the Sonoran or the Gobi. But with creeping desertification, they have reached extraterrestrial proportions. This year, wind-driven sand ravaged much of Northwest China for two weeks prior to hitting the capital. In 2002, pounded by sandstorms that were clearly on the increase and driven by a need for timber products, China announced a 2.4 billion dollar reforestation effort. The program was later suspended so that the resources could be diverted toward food production for a growing population. But the trees that were planted in the interim may have played a role in subduing the storms from a peak of more than ten per year in the early 2000’s. China’s government isn’t the only one that realizes the fate of people and forests are bound up together. India now has a National Land Use and Wasteland Development Council (NLWDC) and a National Wasteland Development Board (NWDB) under the Ministry of Environment and Forests. Brazil, home to the disappearing Amazon rainforest, has a national institute and government agencies that monitor the health of the basin. Similar agencies with more or less actual power exist around the planet. Ultimately, though, it is we the people who will have to decide whether we love trees more living or dead, whether we love them more in the far away Amazon (where we see them only in the reaches of our imaginations) or in the burnished beauty of a Santos Mahogany or Cumaru Teak or Ipe Walnut or Koa Tigerwood floor. We will have to decide whether we love them more hanging with moss in the temperate rainforests of northern British Columbia or in our siding and decks and deck furniture. And we will have to decide whether we love them enough to help poor native people in the Amazon or British Columbia find other ways to earn a living or cook their scanty meals. August is my tree planting month, the month I spend on twenty acres in the San Juans, formerly logged and then, in 1990, devastated by a fluke storm from the north that took down every evergreen with enough branches to catch the wind. I collect saplings in one gallon buckets from any local nursery with native trees and then cajole my kids and husband and friends and friends’ kids (but mostly myself) into hauling a wheelbarrow with the little trees and buckets of stinky fish-fertilizer-tainted water and peat moss and pick axes and shovels over the bumpy fields and trails, stopping to hack out holes where we can push more than a few feet into the thicket. Western Red Cedar, Sitka Spruce, Hemlock, Douglas Fir. How fast is the climate changing, I wonder. Should I be planting species from farther south? I always buy too many and at the end of season end up cursing myself for my tree greed as I lug the lurching wheelbarrow alone. But even the irritation and fatigue give me a satisfying sense of solidarity with people who are planting trees under far more difficult circumstances. Wangaari Mathaai, the first Kenyan woman to earn a doctorate, received a Nobel Peace prize in 2004 for her contribution to “sustainable development, democracy, and peace.” Here is why. In 1976 she kicked off a tree planting initiative that became a movement among women, first in Kenya and then beyond. Mothers and grandmothers planted trees in their yards or by their churches, on any small scrap of available land. They saw with their own eyes how, in the absence of forests, the fresh water ran off carrying the soil with it. But Mathaai got them to see something else: the possibility of a better future. Tree planting is a bullheaded, sweaty act of hope. Thirty five years later, hundreds of thousands of women (and their families) have participated in the Green Belt Movement. Forty million trees have been planted. How far, I wonder, did those women have to haul the water to those thirsty little holes? The United Nations Environment program (UNEP) has launched a campaign called Plant for the Planet Billion Tree Campaign. They used their bureaucracy to recruit the participation of member governments (India pledged to plant 2.6 million trees). But the magic of the web allows small groups or even individuals to make pledges or register the trees they have planted. The campaign has resonated deeply. Photo essays on the website show people from around the world—young and old, rich and poor, black and white and every shade in between—proudly displaying their tools or trees. Before the advent of agriculture, before herding, before man thought he was the apex of some natural hierarchy which had been given into his dominion, our ancestors worshiped sacred spirits that they held to be present in everything that lives and breathes and some things that don’t, in all places and some in particular, in all trees and some above all. Remnants of this animism remain in India, Thailand, Sri Lanka, Myanmar and more. One can still find the occasional wild tree wrapped in brightly colored silken scarves or hung with prayers. More common is the giant Bodhi tree at the center of a temple courtyard, honored as the birthplace of the Buddha. At the sacred center of American culture—Hollywood I mean—pantheism found its voice last winter in the mythic epic, Avatar. It offered a fundamentally different ethos and mythos than those which have dominated Western fantasy for two millennia. JRR Tolkien’s Lord of the Rings, the modern mythology that most captured the imagination of my generation, in reality offered nothing new, nothing substantively different than the Chosen People stories of the Hebrews. There were good guys and bad, all of them corrupted or perfected versions of ourselves; the forces of good led by the guy in white with the staff against the dark lord who seems to love evil for its own sake. The story written by and for a new generation offered a different narrative, one of interconnectedness among species and interdependence among humans. It told not of people who looked different and so were, fundamentally–like orcs and elves– but of people who looked different and yet were fundamentally the same. It was a story of morally and physically flawed heroes who eventually grasped these truths. Yes, like all American entertainment (and religion) the movie was melodramatic and action-packed and trendy with an ending too clean to be real. But inside the package was something else, a budding consciousness that is both a return to the past, to the time before tribal monotheisms, and possibly a hint of the future. Scattered purveyors of tribal religion, a Vatican spokesman here, a Calvinist minister there, saw what lay there beneath the surface and felt threatened. Their reaction means they see power in the competing myth. I do too, and in that I find a measure of hope as great as what is offered by UNEP’s Billion Tree Campaign or Africa’s Greenbelt Project. When my daughters were young I once pointed out a great Banyan tree with buttresses supporting massive branches and air roots dangling toward the ground. They tilted their heads back, straining to see the top without falling over. “I think it is one of the trees that hold up the sky,” I said. But I think now that the trees holding up the sky aren’t the few ancient banyans and redwoods and baobabs that have escaped our love of wood-grain and firewood. They are the small saplings that dot the hillsides above San Cristobal, Mexico in scruffy rows and that strain for life in the thin air of Nepal and that stand defiant in the churchyards of Kenya. In time, if we can reclaim the everyday, everyplace spiritual sense of our ancestors and blend it with the meticulous accountability of scientists and the tenacious hope of African mothers, those seedlings will grow, and more after them. Then, in time, Gaia may once again breathe deeply, rescued from the crushing weight of a gold-paved heaven above the sky and the even more crushing heaven we have sought to build of cut wood and black gold down here on the tender earth. Gallery | This entry was posted in Web of Life. Bookmark the permalink. When I worked at Lockheed 15 years ago I manned the booth entitled, Mission to Planet Earth. It was all about the possibilities of scientific research through satellite observations and historical documentation. What a show it was of the destruction over Madagascar, the very first pictures of that worthwhile project. As better as the world has become due to forward thinking individuals (and even some companies), it really depends on where you live. We have foundations for preserving open space in the SF Bay area and others focused on more stressed locations. But it ALWAYS helps to hear a report from the field that all is not well. We can do better.